Whether you take out a long or short-term loan, carefully inspect a contract for a commercial or business loan with a fine-toothed comb. In other words, read over the terms of your agreement in full and direct any questions to your loan provider. You also want to obtain a copy of the agreement for financial record-keeping purposes. 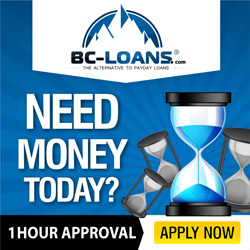 Lenders are legally required to disclose all fees and costs, and supply you with copies of the related documents that make up your loan paperwork. Almost any loan agreement that is made through a bank will carry a restrictive or protective covenant or covenants. Covenants are often incorporated into small business agreements to ensure that the bank and business are on the same page with respect to a loan transaction. Understanding the terms of a loan as well is the language that is included in the covenants is especially important to an owner of a business who is seeking financing. Definitively, a covenant in a loan contract is a clause that requires the borrower to follow or abide by specific rules. Restrictive covenants place more limitations on borrowers who are considered to be a greater risk. The three main limitations involve the use of collateral, periodic reporting practices and repayment terms. Protective covenants are activities on which both the borrower and banker agree. For example, in a business loan agreement, these actions may include carrying an adequate amount of insurance, maintaining working capital at a certain level, and adhering to specific schedules for repayment. 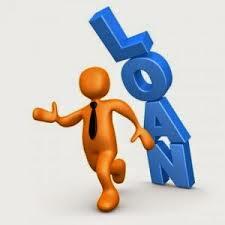 Providing the lender with financial statements on a regular basis is commonly included as well. Whether they are considered restrictive or protective, the covenants in a loan agreement, especially one of a commercial nature, involve a series of benchmarks – measures that monitor the performance of a business. Covenants allow financial institutions to review the cash flow, debt-to-equity ratios, and working capital of a business. The Debt-to-Worth Ratio The debt-to-worth ratio, which is also referred to as a leverage ratio, is a gauge that measures a business’ total shareholder value against its total liabilities. For example, the ratio, 1.5:1, shows that $1.50 of debt exists for each dollar of a business’ equity. This calculation factors into the working capital of a business, or the funds that have been invested into the inventory, accounts receivable, cash, and other assets. Working Capital The working capital is derived by taking the current liabilities and subtracting them from the assets. A working capital covenant in a loan agreement ensures that the loan applicant will maintain a balance sheet that will meet the interim cash requirements for a company. Realizing your Funding Goals If you are trying to obtain short-term or long-term funding for a business initiative, it’s important to know what you will need in order to work with a financial institution or a bank. Covenants in a loan agreement make it possible for you to reach your business’ financial goals while satisfying the lender’s funding requirements for a loan.